It's a given that your CRM and analytics programs will use data collected from transactional and application systems, but there's plenty of other nontraditional data out there that can bring added insight to your employees, according to Anne Milley, director of technology product marketing for SAS. You can purchase demographic and psychographic data from outside vendors and there's data you can collect on your own, such as market research, customer surveys, and focus group results. Another data source is full-text conversations from your customer service or call center. 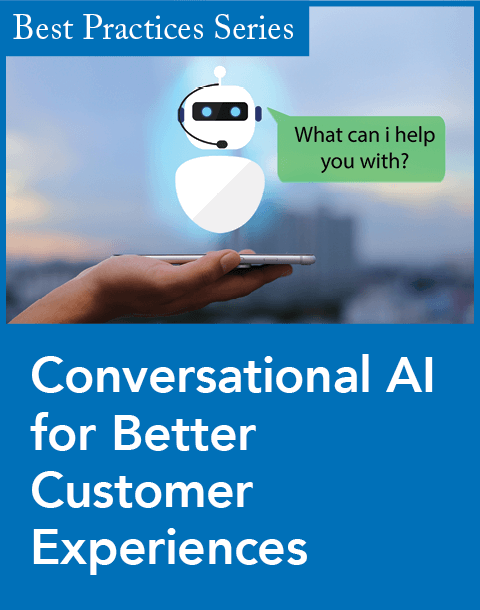 Today, there's software available from companies like Utopy, Nexidia, and CallMiner that can turn dialogue into reliable quantitative data that can be used to predict future customer service problems, as well as help agents with cross- and upsell techniques. "You have to get out of the database mentality," Milley says. "Transactional data is fine, but as far as analytical richness, it's very limited in what it can provide." 3) Clean your data regularly There are many kinds of dirty data. Some of the most basic--having multiple entries for the same customer or misspellings--can be the most labor-intensive to remove. Other cleansing issues stem from organizational problems. Your marketing department might classify data one way with one naming convention, while your sales department uses another. But it all goes back to policies: Require all users to input data the same way, and clean data often, deleting mistakes and duplicates. Kyle Lambert, vice president of information solutions for John I. Haas, a grower and supplier for the beer industry, says sometimes, dirty data can be the impetus to get a CRM or analytics project moving. "We found that exposing dirty data to executives was much more powerful than just cleaning our data," he says. "After we cleaned the data executives would come back and say 'The IS department can't deliver any meaningful information anyway.' But if we showed them we could deliver the data but it was dirty, they started to correct the processes [that made it dirty]. Executives love to change processes. They were able to contribute to the improvement. And over time they could see the numbers were getting better." 4) Distribute data at every level You already know that your marketing and sales staff can benefit from your CRM data, but you probably don't realize how useful it can be to other personnel and departments, says Bill Stoughton, BI group leader with database marketing services provider Merkle. "People just aren't distributing data to the end touch points," he says. 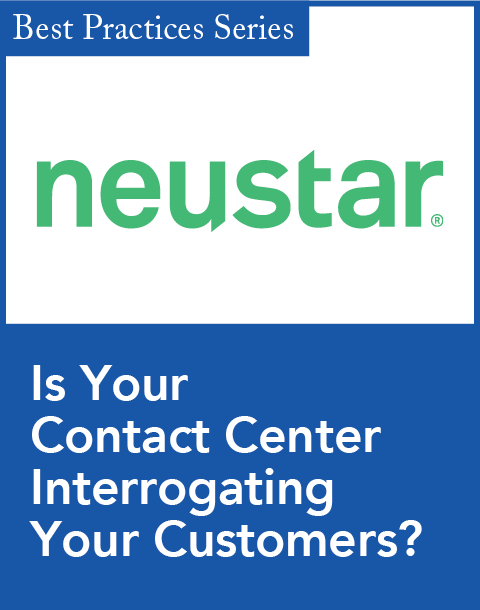 "Do you have enough information going out to the call center or to your Web site for customer self-service?" Of course, someone working in the call center isn't necessarily going to understand a detailed report or have direct access to your database. To that end, being able to distribute reports in Microsoft Excel or Word documents is key, according to Ventana Research, which found that 81 percent of users wanted the ability to export data to Excel. "We see it all the time," says Patrick Morrissey, worldwide marketing director for Business Objects. "It makes sense for the end user to see a report or analysis in Excel, Word, or PowerPoint. It helps people use the data the way that they work." 5) Fund training and relearning You've spent millions on your CRM implementation, but do your employees know enough about it to take advantage of the technology? In all likelihood the answer is no, says Accenture's Adams. In fact, between 60 and 80 percent of companies don't have adequate training budgets. "We find this is the biggest gap. Companies are not optimizing their spend and effectively operationalizing their CRM programs. Train those who will be working directly with the software, as well as those who will be using and benefiting from reports. Many vendors offer free or online training, which will keep your capital outlay low." 6) Balance server space with strong analysis How much data do you have in your database? Three months' worth? Six months' worth? Your goal really should be 13 months' worth, according to Merkle's Stoughton, and at least three years' worth of contact data information. Some data should always be accessible. "People tend to have too much data so they aggregate it, but when you aggregate data, you're losing data somewhere. Keep point-of-time information accessible, for example, data that marks major events in a customer's life with you--when they became your customer, when you last marketed to them." 7) Aggregate, don't delete Dr. Judy Bayer, director of advanced analytics for software vendor Teradata, agrees that you should keep a minimum of two to three years' worth of data in archived files, but in the best case you should have all of your data available somewhere. "I've worked with customers who had thrown out data about people who aren't their customers anymore," Bayer says, "but how can you figure out why they are not your customer if you don't have their data?" A rule of thumb: Analyze data before you aggregate it--never simply throw data away. 8) Standardize whenever possible One of the first things Toshiba America Medical Systems (TAMS)did when it installed its new software was standardize everything related to its data. All the reports coming from the CRM program have the same look and feel, thanks to a template. Everything gets a time and date stamp. "Our vice president of marketing believes in this program. By standardizing, it was a way to make sure all of the information used in analysis came from our new data reports," says Diane Werner, a customer relationship specialist at TAMS. A few years ago TAMS took this strategy even farther by using standard file and document naming conventions that employ real language to bypass numbers in favor of descriptive document names. "It's very clear what each report is. We use descriptions by month, quarter, half. We don't use technical names," Werner says. 9) Talk to your users often How can you decide what to measure and what reports to implement if you don't know what people need? Karen Williams, vice president of BI, product marketing, at Cognos, says one of the biggest mistakes she sees her customers making is that they don't create a partnership between the users and the IT group. "There should be a partnership early on that takes into account what business people want and what IT can deliver," she says. "Make users part of the purchase and the implementation. Identify requirements--what information they need to do their jobs." Mark Lack, planning and financial analysis manager at manufacturing firm Mueller, constantly polls his users, asking what they need. This process also ferrets out which reports and analyses are unnecessary, saving you time and energy in the long run, according to Lack. 10) Get executive buy-in Business change comes from above. One of the best places to start is your board, John I. Haas's Lambert says. "Interview your executives and find out what info they are looking at on a daily basis. I recently went to our board of directors and asked how they wanted to measure the company--what growth expectations were. Then I went to our executive management and said, 'This is what the board wants to see, how are you going to deliver that?' They told me their strategy. I asked, 'How do you measure your success against your strategy?'" Those fundamental questions start the ball rolling." 11) Create a continuity plan for your data Barbara McMullen, director of the Institute for Data Center Professionals (IDCP) and project manager at Marist College's Center for Collaborative and On-Demand Computing, is in the process of implementing such a plan right now. The reason? The IDCP has been around for more than three years. In the beginning, it stored data using MySQL. Soon after, IDCP hired a new employee who didn't have experience using the database format and converted everything to Excel. Unfortunately, only some of the data was ported, and soon after the truncated database became the default database. All the data that wasn't converted was lost forever. "We lost information about potential customers," McMullen says. "We had a policy in place, but the person responsible for enforcing that policy left. Now, when I see some of those databases that used to be more robust, it really bothers me." McMullen suggests having more than one main contact person for your data, and having a clear line of command. Your policy should also have strict guidelines about how it will be stored, deleted, and analyzed, she says. And everything--including where your data is stored--should be in writing. "You can't ask someone on their last day of work if everything was turned over." 12) Treat your partners like employees Mueller's Lack says his implementation succeeded in part thanks to his software vendor, Cognos, and his consultant, the CD Group. "We had never done anything like this before. There was a lot of trust that had to go back and forth between [Cognos and CD Group] and our company. A good relationship with the folks you're working with is key. You never want to get into an adversarial relationship." Lack says he assessed companies the way he would a friend. "Did the consultants have the same ethics and values that we do? We found that there was a certain genuineness to our project leads. It definitely came down to gut feelings in some cases." 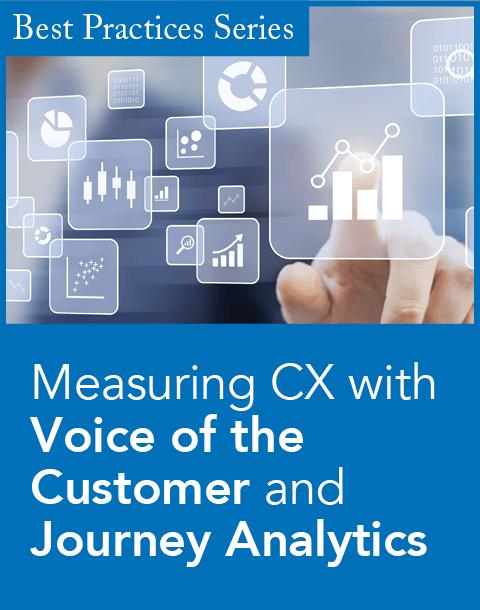 Uncovering the treasure trove Customers in the retail world who buy pretty floral Capri pants may not shop for delicate, fringed ponchos, but unless you have a strong CRM and analytics program, you wouldn't know that. Catalog retailer Newport News knows this firsthand. A decade ago the company had rudimentary information about its customer base--what it bought, what catalogs customers purchased from, and where customers lived. But with millions of customers who could be sliced into more than 800 segments--not counting a creditworthiness category--they needed a little more data. The major problem was, analysts spent 90 percent of their time extracting data and only 10 percent actually analyzing it. As a result, Newport News wasn't getting the most out of its data. Customers weren't segmented as deeply as they could be, which detracted from sales, says Van Rhodes, Newport News' manager of marketing decision-support systems. And the analysis that was completed was often out of date. Even worse, the company, which like other catalog retailers buys mailing lists, never knew which lists were most beneficial. The company simply wasn't getting the most out of its advertising dollars. "In the catalog business we are forever buying each other's lists," Rhodes says. "We might buy a list from Chadwick's or Victoria's Secret. We're interested in how those lists are performing, but we just didn't know because we couldn't do the analysis." In an effort to boost its analytics, Newport News contracted in 2002 with SAS, creating a full-blown data warehouse and installing SAS's analytical tools. Almost immediately the company saw big results. Although Rhodes doesn't have specific ROI metrics, he says his new system along with the best practices that he's implemented have paid for themselves already, especially a statistical modeling feature, which helps his company find and market to its strongest customers. "The number one benefit so far is the speed of getting [our users] the answers they need and the ability to give them data that they couldn't see before." Today, Newport News employees can identify buying patterns as they are emerging, which lets them send out catalogs that are tailored to customer needs. "With statistical modeling you can slice the customer database so you can rank the entire database best customer to worst customer," Rhodes says. "And now you can slice the customer so much finer that you know, for example, why customer A is better than customer B." Newport News also knows which products each customer is more likely to buy, which helps it mail out the right catalogs. It has helped with the company's email marketing programs, something that didn't exist only a few years ago. --K.B. Karen Bannan is a New York-based freelance journalist.